Spring Roof Evaluations - Miller Roofing Contractors Utica, Ohio. It’s that time of year! At Miller Roofing Contractors, we are gearing up to conduct your spring roof evaluations. We want to make sure that all of your spring roof maintenance is completed in an experienced and professional manner. In the spring, you should have your roof inspected to make sure that it is free of leaks. With April showers bringing May flowers, we want to make sure that you can have peace of mind, knowing that you won’t have to be dealing with water damage. Once your roof begins to leak, it can quickly turn into a huge disaster. If not fixed, the water will eventually find its way into your house, ruining walls, carpeting, and anything else in its path. We provide clearing of interior and exterior drains. We can provide maintenance of drains needing repair or upkeep. We can also provide repairs if it is found that your roof is leaking, or if you are ready, we can roof your entire building. It’s what we do. 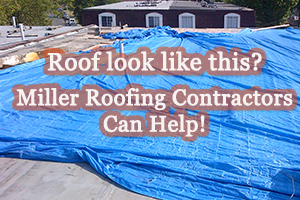 At Miller Roofing Contractors, we always provide quality services to our clients. We have been helping building owners find solutions to their roofing problems since 1987. At Miller Roofing Contractors, we use Conklin’s Roofing Products. Know that with Conklin’s 40+ years of roofing technology, you are being provided with the best roofing products, by the best roofing contractors. So with spring quickly approaching, give the professionals at Miller Roofing Contractors a call to schedule your Spring Roof Evaluation today, (740)404-3390. This entry was posted in Central Ohio, Commercial Roof Repairs, Commercial Roofing Contractors. Bookmark the permalink. Follow any comments here with the RSS feed for this post. Both comments and trackbacks are currently closed.